As readers of the site know, I am somewhat of a music game addict. This means we have several fake plastic instruments lying around our house. After buying many, selling them off to finance upgrades, etc., we are now "down" to all Guitar Hero instruments. We have a Les Paul from GH3, a trusty ol' X-Plorer from GH2, and the latest and greatest (for another few weeks anyway) the GH World Tour axe. For the most part, we've been quite pleased with all these guitars, save a really sensitive tilt sensor on the Les Paul. Our drum set is from World Tour, and, unfortunately, a few weeks back, the red drum pad stopped working. This wasn't a big deal at the time. My oldest son was away visiting family, and wouldn't be back for almost a month. So, the youngest boy and I played guitar together. The kid can play almost anything on easy, so it worked out great. However, a week ago, big brother returned. This left us with a dilemma of global proportions: who had to play the broken drums? Now, you may be wondering, why not just fix the drums? Can't you go online and order one of those tuner kits from RedOctane for free? While this may have been the case late last year, apparently there is no way to do so now. Or, at the very least, I was unable to get one, after jumping through all the appropriate hoops I knew of. Opening up the drum set was not an option for me, as I am paranoid about breaking, shorting out, or otherwise destroying a rather expensive piece of gaming hardware. Paralyzed by fear, I left the drum pad in a state of disrepair. 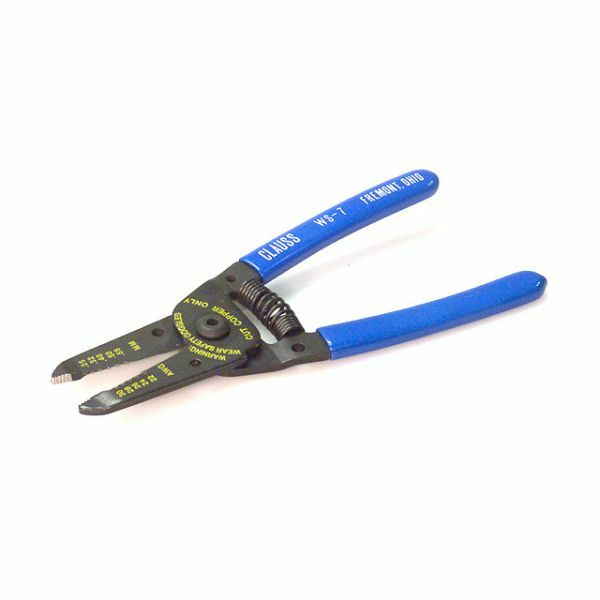 The wire stripper: mightiter than an axe? When we were playing Guitar Hero Smash Hits, everything was fine. Me and the oldest son used the guitars, and the little guy played drums, on beginner. Since the beginner level of difficulty lets you hit any pad at all, we could play and everything worked fine. Until the poor boy tired of playing the drums, that is. But my 14 year old and I have zero interest in playing on beginner, and considering the level of red notes in Medium and Hard drumming, there was no way for us to get through a song without failing out, and taking the entire band with us, as well. (Glad they are fixing that in Guitar Hero 5.) So, we went back to just playing on the two guitars, taking turns sitting out. This was like sheer torture. It's no fun being the odd man out, and who wants to sing, anyway? As you can imagine, our music game addiction was pretty much on hold. Last night, we had waited long enough, and popped in Rock Band 2. (There were a couple Weezer songs we had to try out.) A few hundred MS points and about 60 megs later, we were knee deep in My Name is Jonas, with the youngster manning the drum set. 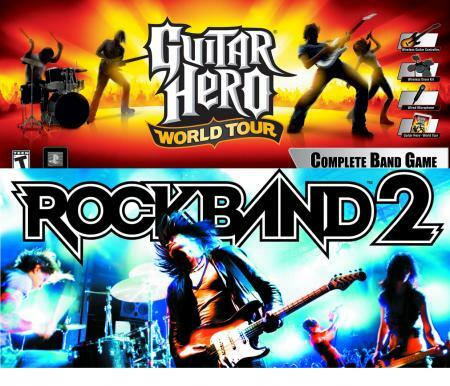 You'll recall that there is no beginner level in Rock Band 2, and while he was keeping up admirably, it was almost impossible to keep on tempo, all due to the faulty red pad. After playing just a few songs, I knew it was no good putting it off any longer: this red pad had to be fixed, TONIGHT, no matter what. With great trepidation, and a slight drowning sensation, I dismantled the drum controller, and unscrewed the near-countless legions of screws off the back of it. With a Herculean effort, my young partners at my side, we pried off the case, and with a dread numbness in our guts, looked inside. What horrors would we face? A tangle of knotted, twisted, color coded wires, spilling out like some mythic hydra? A labyrinthine array of mazelike circuit boards? Our minds boggled at the sense of horror, and we paled, sweating from the strain. Guitar Hero/Rock Band Instrument Compatibility Chart - Yanked?